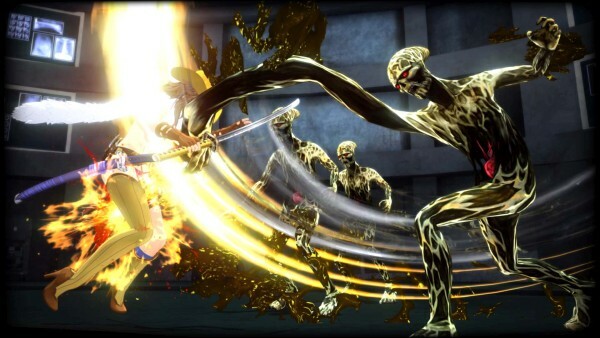 A remake of The Onechanbara 1 and 2. 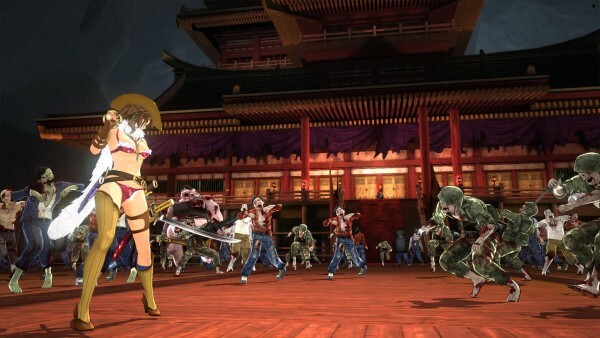 D3 Publisher has released the first details and screenshots of Onechanbara Origin, its upcoming Tamsoft-developed remake of The Onechanbara and The Onechanbara 2 for PlayStation 4. A ruined age in which the living dead known as zombies run rampant. The age of half-sisters born from different mothers descended from a bloodline of swordsmen. The older sister lived with her father, who trained her relentlessly, and grew up spending all of her time mastering the sword. The younger sister lived with her kind-hearted mother, and grew up hating the father who took her only sister and abandoned her and her mother. 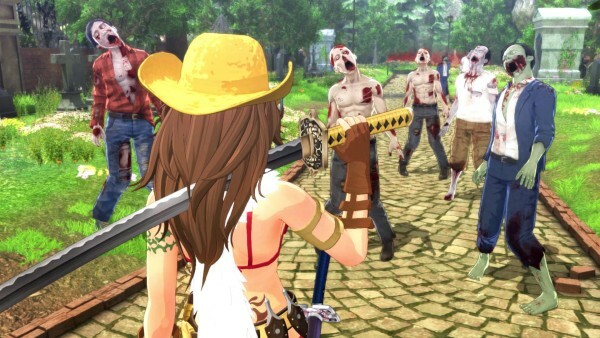 Before long, the father went missing and the older sister utilized her sword skills to become a zombie hunter. 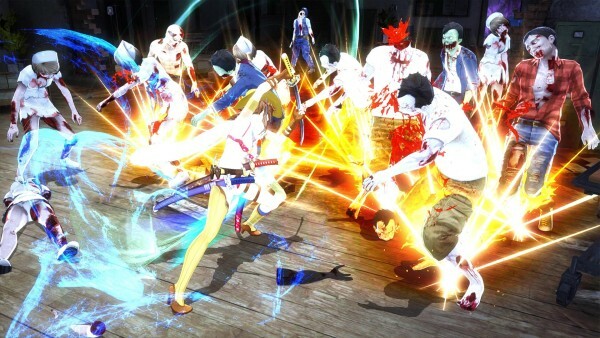 As for the younger sister, her mother was killed and she became maddeningly vengeful, then learned how to control zombies. That is correct. The enemy of the vengeful younger sister is in fact the older sister. In a vortex of love, hate, and conspiracy, the battle of sisters begins. A beautiful female sword master and a descendant of the Banefuls that have worked as assassins since ancient times. Her natural talent with a sword towers above all others. 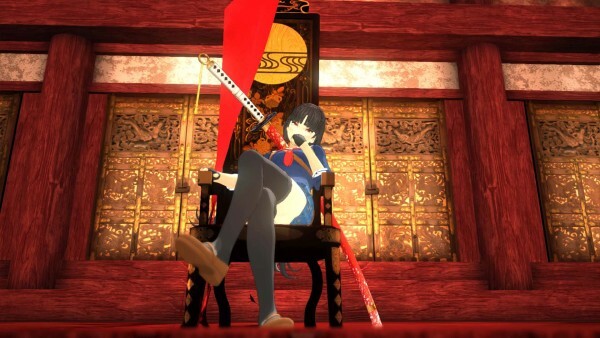 Since she was young, she lived with her father and master swordsman Oboro, and was trained relentlessly each day until she acquired power equal to that of her father at a young age. One day, her father found out that her step-mother Tsubaki was slaughtered and disappeared, his whereabouts unknown. 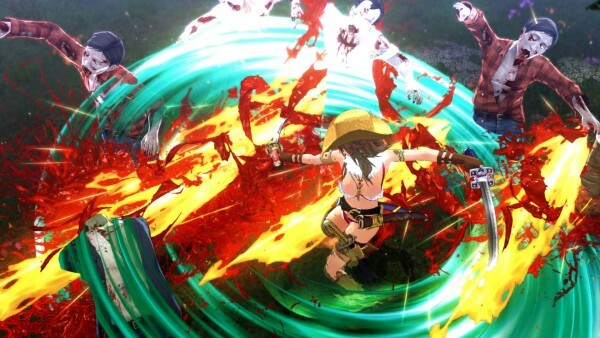 By bathing in the blood spurts of zombies, the Baneful Aya can unlock the seal of the Baneful Blood that flows through her body and enter a “Rampaging” state that significantly increases her battle ability. 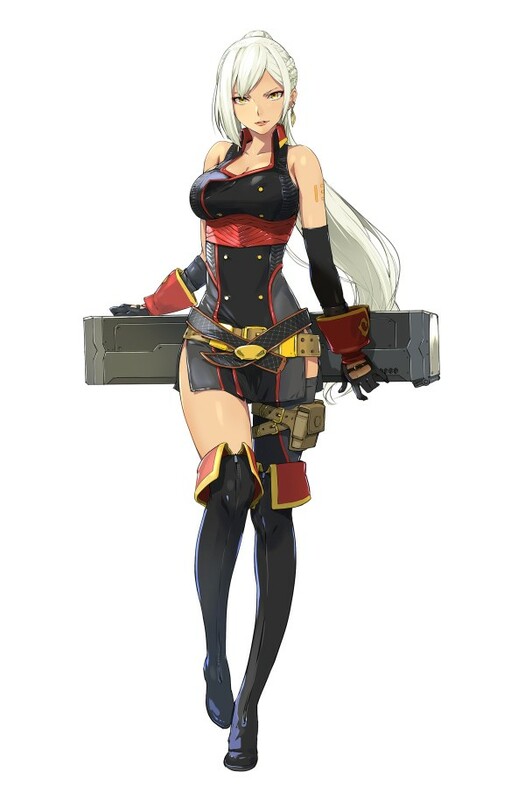 It is for that reason that she wears swimsuit-like combat outfits with high skin exposure. She has a flashy appearance and witty tone, but is also highly perceptive and assesses her surroundings with calmness. 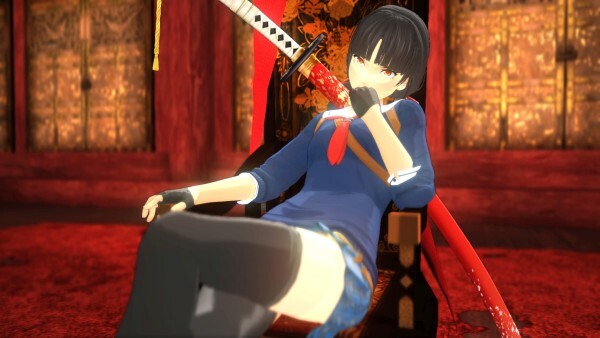 As you might expect from a sword expert, she is a master at both single and dual wielding, and can unleash a variety of attacks with a sword. 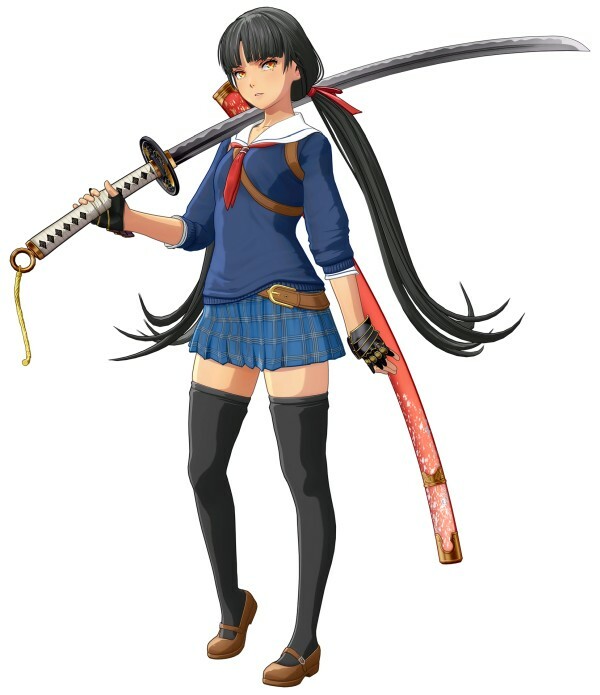 She can also use a multitude of kick attacks with her trained legs. And she uses projectiles like kunai as well. 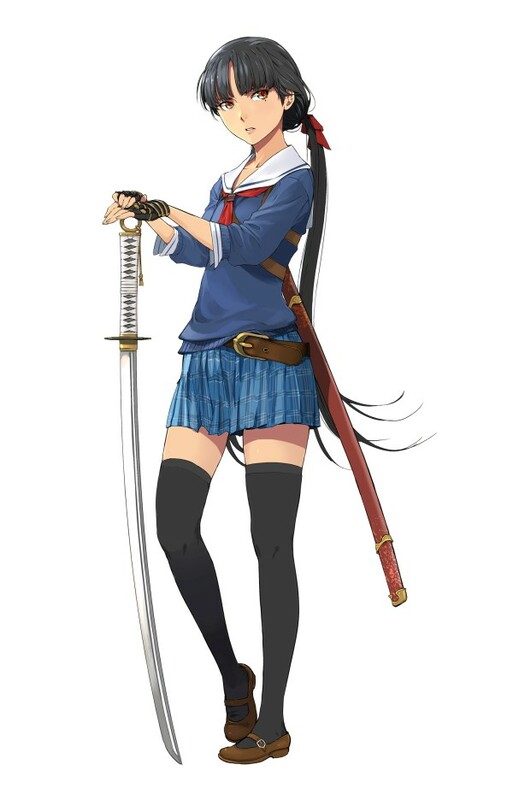 Saki knew that it was the father that abandoned them, and the older sister from another mother, that killed her beloved mother, and polished her sword skills in a vengeful resolve. Furthermore, Saki learns of an ancient secret art that can be used as a means to resurrect her mother. To accomplish this, she needs the live heart of one a Baneful with thicker blood. 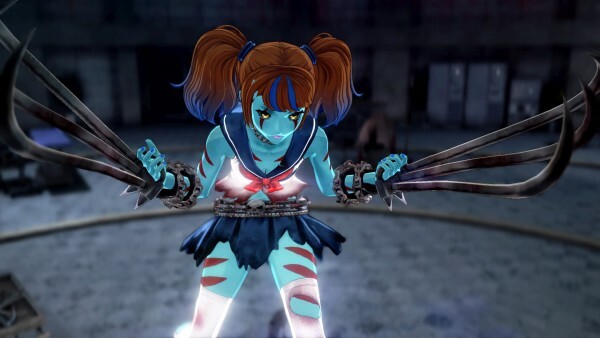 In a scheme to lure out Aya, Saki utilizes an ability to summon and enslave zombies… so that she can steal the heart of the Aya she hates and resurrect her mother. A woman who gets in touch with Aya as an informant and someone in the business of zombie hunting. Rei is a so-called business partner to Aya in that she provides her information about zombie outbreaks and has her subdue them in exchange for information about her family. Rei communicates with Aya in various ways. As far as her background goes, that information is mostly unknown and full of mystery. However, Rei also seems to have a sister. Its origins can be traced back to ancient Japan. 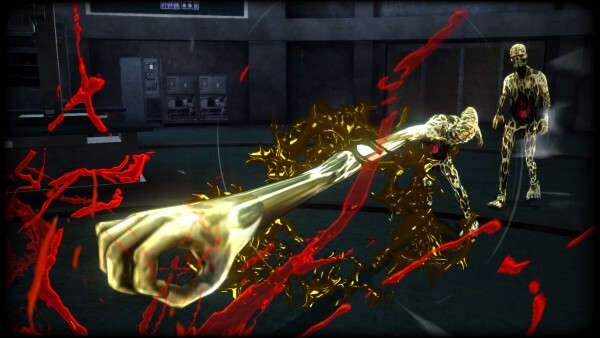 A mutation born through a certain family of assassins’ continued use of a self-training technique that further enhances the blood in the body. It is said that the sisters of the head of the family were the first to carry the “Baneful Blood” within them. By over-stimulating the possessor’s mind and body, Baneful Blood increases their movement by many times that of a normal person. The sisters tried to reproduce the technique that gave birth to their special blood, but the men of the family that were their subjects all suffered post-operative insanity. Only some women who possessed some sort of antibody were a success. The rest died. This tragedy was the origin of the “Baneful Blood” name. From then on, the family was known as the “Banefuls,” and the head family was that which originated from the blood of its founders (the sisters), possessors of the thickest blood. Those who artificially inherited almost the same blood as the sisters were designated as branch families. After that, the branch families did everything possible to produce more blood than the head family, but were condemned by the head family after a certain incident, which resulted in a reduction of families. Beings that have the appearance of humans and negative energy of being buried underground. 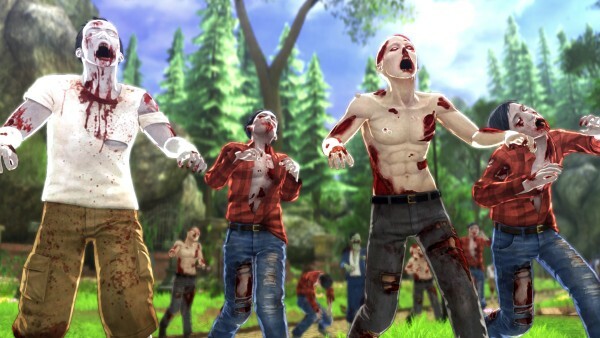 Their appearance and nature are almost no different than the zombies portrayed in fiction. 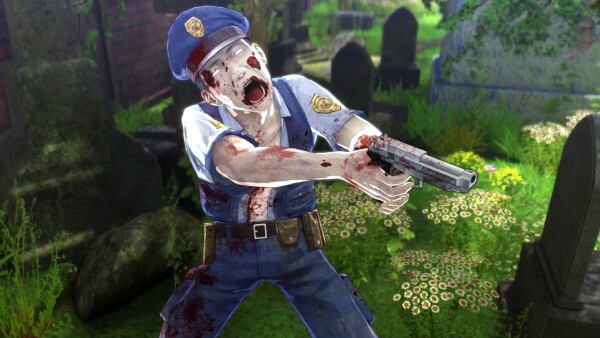 If a living person intakes a zombie’s body fluids, their biological makeup will change to that of a zombie, thus creating a new zombie. 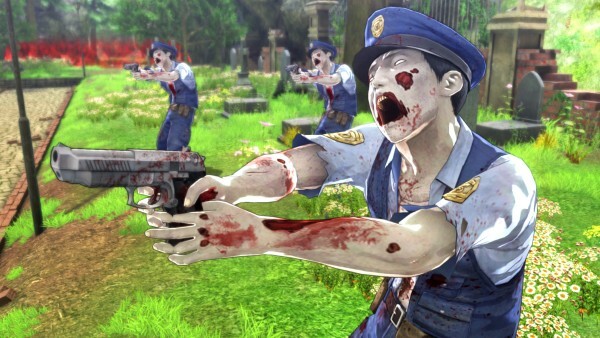 To the ordinary person, zombies are nothing short of a calamity. Even among the Banefuls, the highly skilled are able to freely produce zombies and command those of their preferred form. 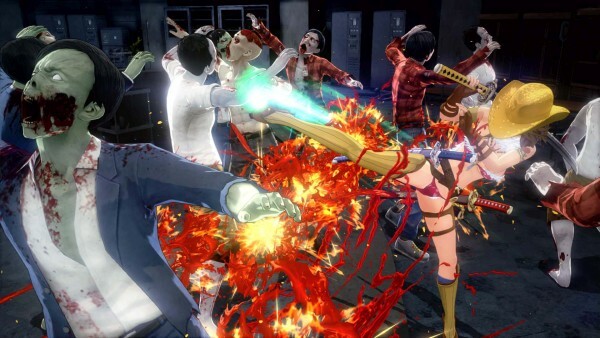 It is unknown how Saki acquired this technique, but she takes control of numerous zombies in attempts to lure out Aya. 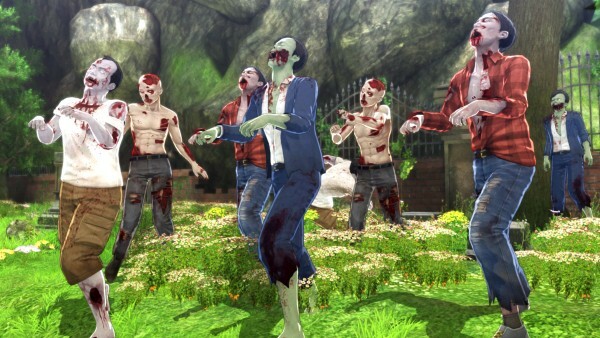 Extremely ordinary men and women whose sleeping corpses were resurrected as zombies from resting places such as graveyards. They faithfully obey Saki’s commands. Although they sometimes mutter words based on memories of being alive, their sense of self has completely collapsed, so they do not have any particular meaning. 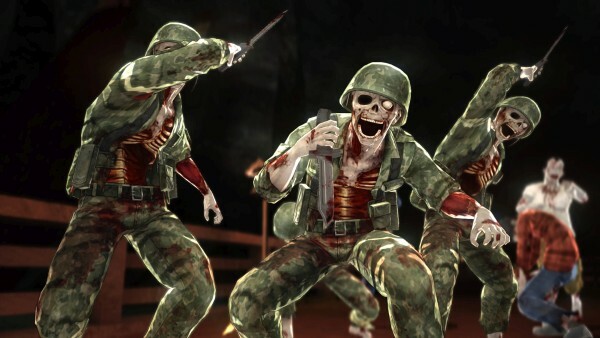 Special, enhanced zombies. They will only die by destroying the core in their body, or by a Rampaging attack from a Baneful. Any other attack will not work. 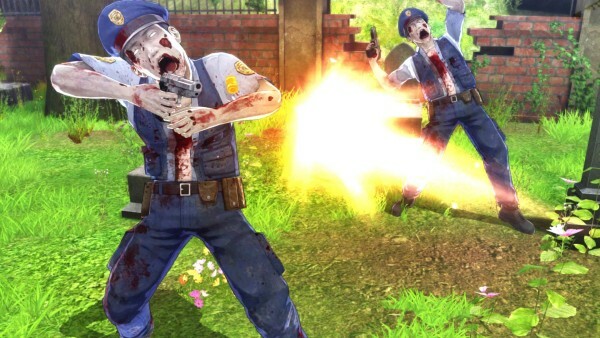 Policemen resurrected as zombies. They carry and shoot handguns. They will sometimes mutter words like humans, but have no memory of their past as a policeman, as their sense of self has completely collapsed. 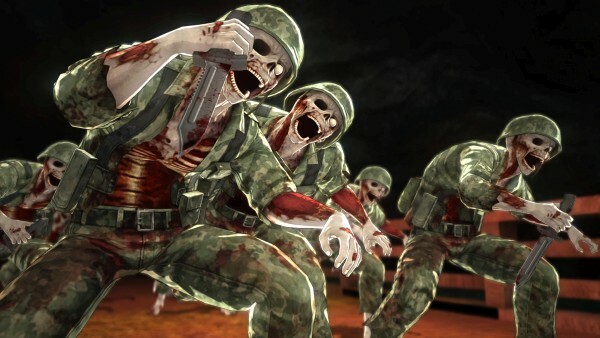 Soldiers killed in action in Japan (not limited to Japanese soldiers) resurrected as zombies. They faithfully obey Saki’s commands. Whether or not due to the memories incurred fighting before their death, their fighting ability is high. A zombie created by a mysterious organization from an ordinary man with a large physique. Its huge body is about five meters in length. Since it was created from a human, it sometimes mutters words, but its sense of self has completely collapsed. Any flaws are repeatedly being improved upon. The symbol of the organization is engraved onto its body. A Baneful girl who died in a battle involving fellow Baneful, but was resurrected through a secret art. Following her resurrection, she is driven by an impulse to eat live human flesh. Her past memories are mostly gone, but she does remember a certain person.